Every culture seems to have some version of a delicious, portable dough package filled with savory or sweet concoctions: the Asian dumpling, pot sticker or momo, the Italian calzone and stromboli, the African sambusa, the Indian samosa and the Eastern European pasty (familiar to many in Northern Minnesota-where it was a convenient and filling food for miners to carry in their lunchboxes). Apparently, Spanish traders, brought their pastries along while settling throughout the world between the 1500s and 1700s, the Portuguese are credited with introducing empanadas to Southeast Asia. The concept lends itself to interpretations, even within Argentina. The tradition is generally meat based fillings, which vary depending upon the region. 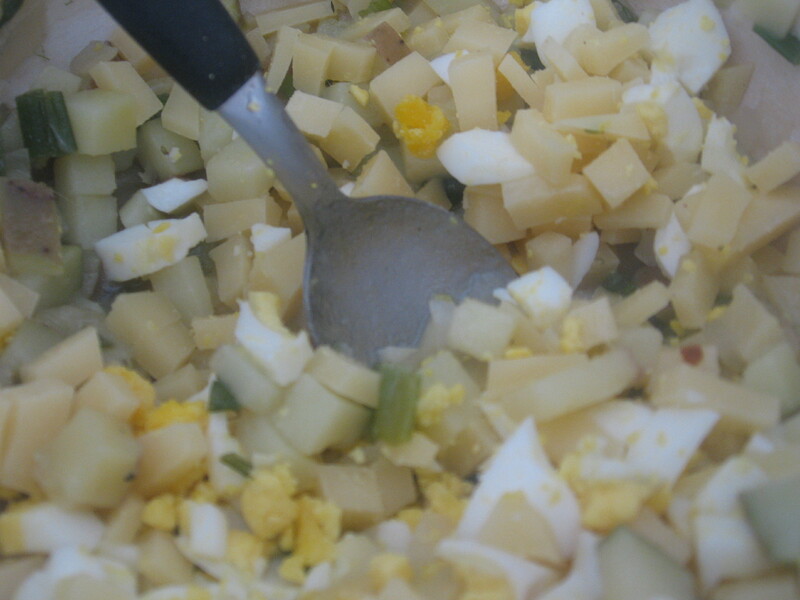 The most famous are from Tucuman and filled with large chunks of meat, in Salta they add potatoes and cayenne peppers, and similar ones including olives, hard boiled eggs and garlic are prepared further South. In Patagonia they are filled with seafood or lamb, and in Cordoba they add sugar and raisins to the meat, and also prepare raspberry, chocolate and dulce de membrillo (quince jam). These days, you can also find spinach filled empanadas, a delicious sweet and savory corn and cheese mixture called ‘humitas’ and almost every restaurant offers a caprese empanada with mozarella, basil and tomatoes. 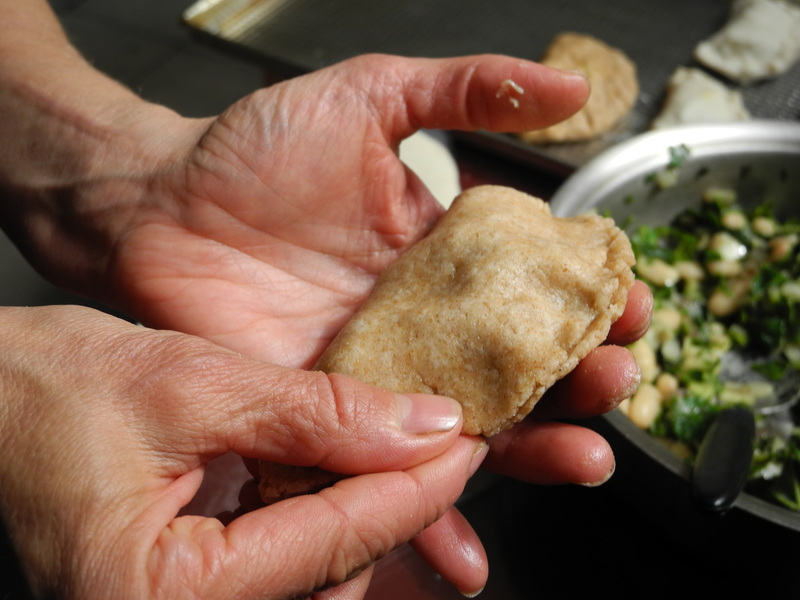 Empanada shells are easy to find in any grocery store or specialty shop. A package of 12 costs about $2 and they are generally perfect. I have experimented with my own dough, as well as the pre made. Thus far, I have to admit that the pre-made doughs have surpassed mine for flakiness and perfect browning, but I haven’t given up yet. 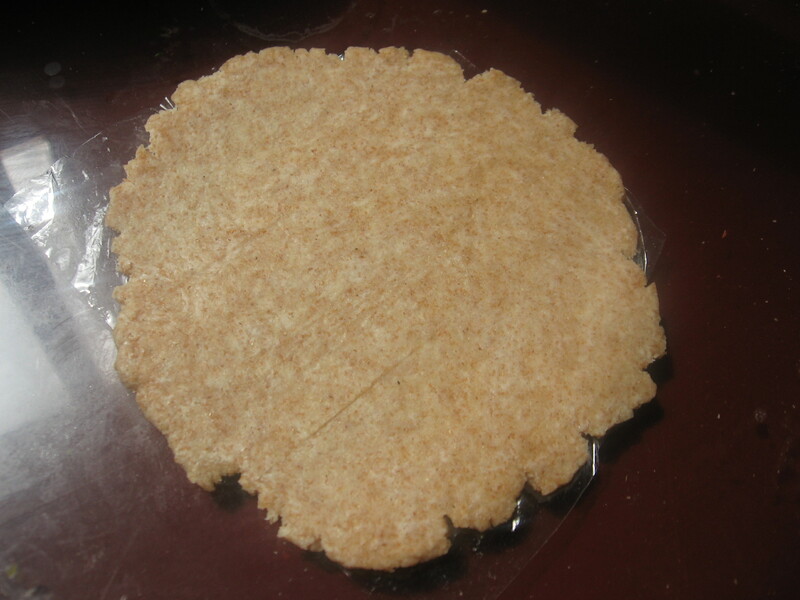 As for the ingredients, mine are whole grain, something you won’t find in the grocery store or anywhere in the city. I will also add that my (very) unconventional fillings have proven quite delicious and I continue to dream up even more ideas. I have made them with lentils, and also with potatoes and garbanzos (like a samosa). Today I made two fillings. 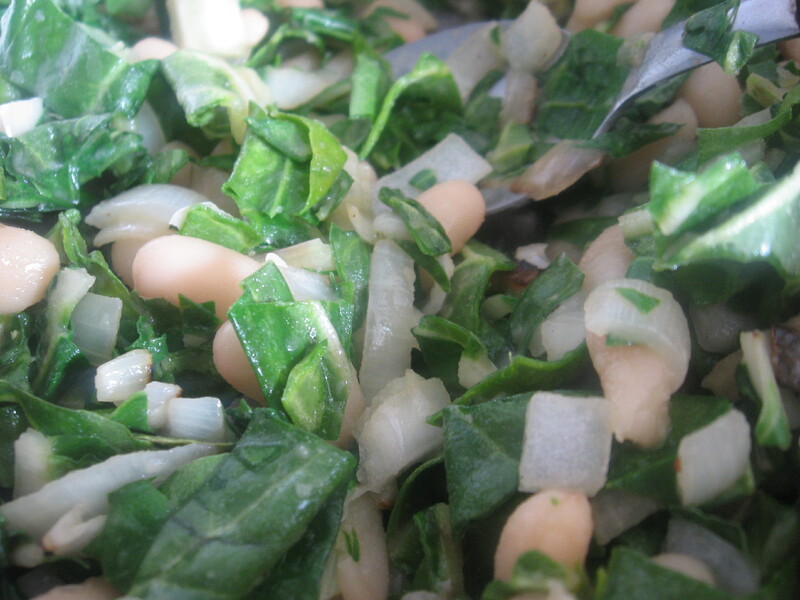 One was a potato, parmesan cheese and hard boiled egg combination and the other was chard and white bean. Both were delicious and very different. Really, the possibilities are endless. As with all pies, the dough is very important. My first attempt was basically a pie crust with a mixture of wheat flour and cornmeal. While it was quite tasty, it was a little too dry and doughy for the filling. This time, I adapted one given to me by our landlady who is from Salta. I used 2/3 whole wheat and 1/3 white flour, and water, though not quite as much as suggested. They are big fans of cornstarch in doughs here. You see it in everything from cookies to empanadas. I am not sure I think it is necessary, but this recipe has a small amount and seemed to work fine. Even though it was mostly whole wheat, the dough was very moist and pliable. The thickness is also important, and I haven’t quite mastered that. 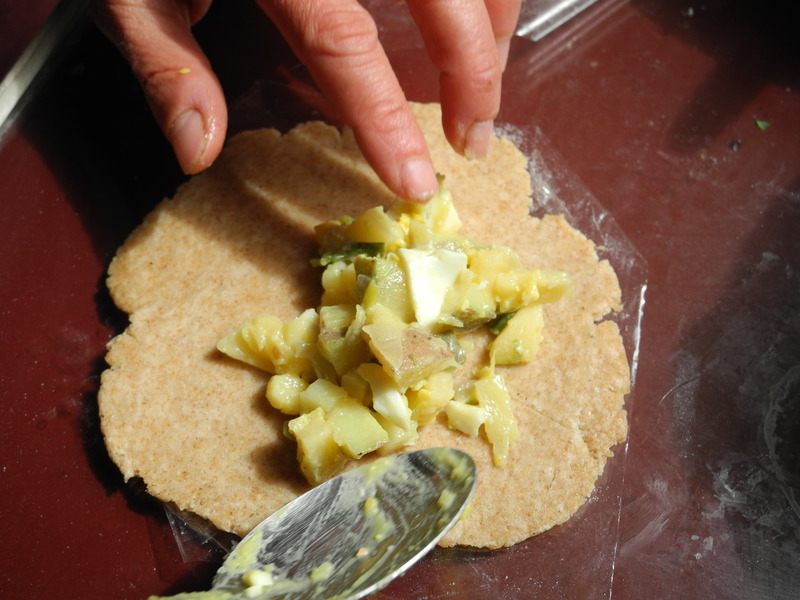 I used the plastic squares from the packaged dough to roll out mine which worked quite well. Filling it is pretty straightforward. 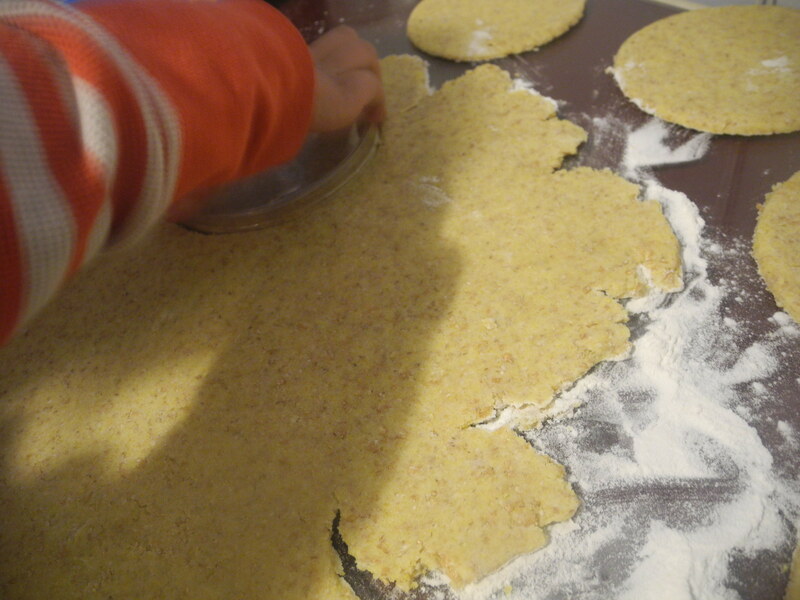 You fill about half leaving some space around the edge and then fold the dough over. The challenge is to get it over the filling without ripping a hole in it, and then to successfully seal it. 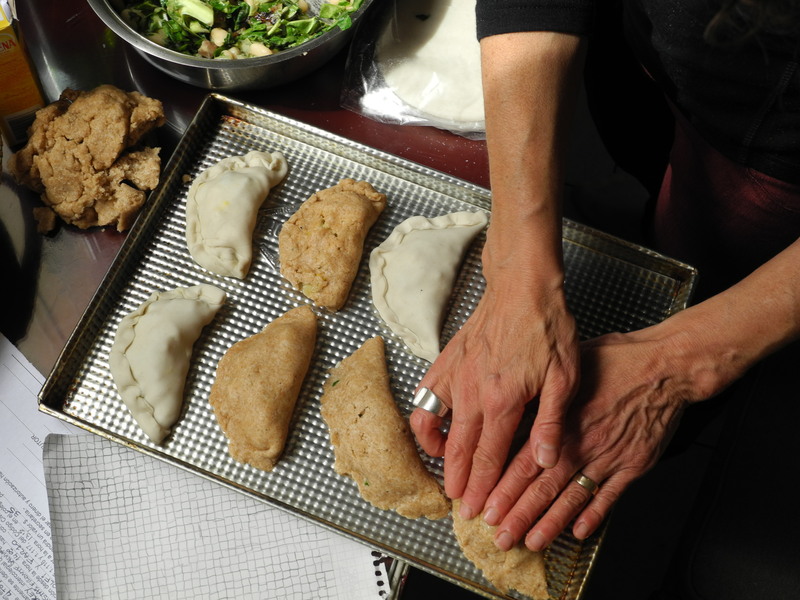 I have seen many empanadas without a fancy edge to them. The Mendocinos seem fine with just a pinched edge. I settled for that as well. All in all, these were delicious, and fun to make. They are a bit time consuming, so I’d suggest making a lot and freezing some for later. I felt a bit protective of them and winced each time another got eaten. Such is the case with hand made food. 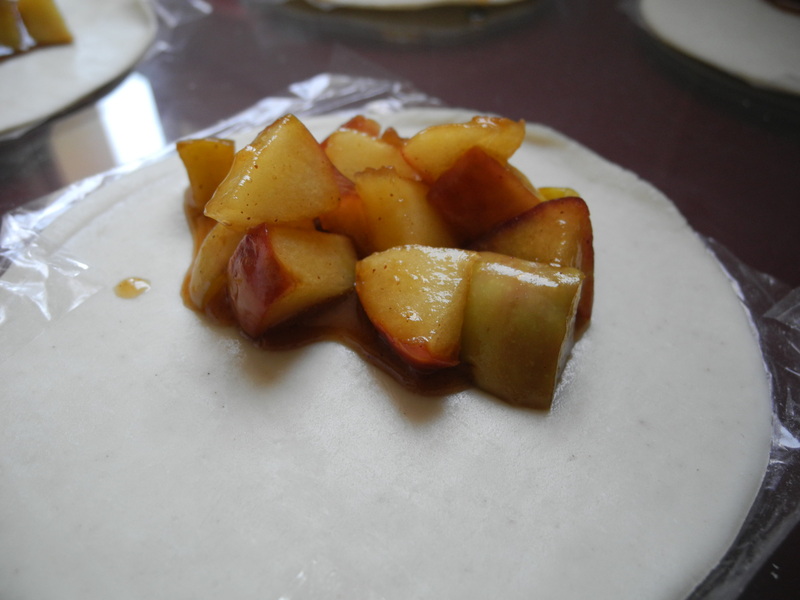 I am anxious to continue experimenting, and am even thinking about a sweet apple filling this morning……. Las empanadas de carne de vaca son uno de los platos más tradicionales de Argentina. Hi, Jenny! It’s so nice to keep up with your family here on your blog. I always swear I’ll never make empanadas again, but they’re always worth it. Hope you guys are enjoying your time in Argentina! We miss you in the Kitchen! Thanks Molly, I miss you guys too! 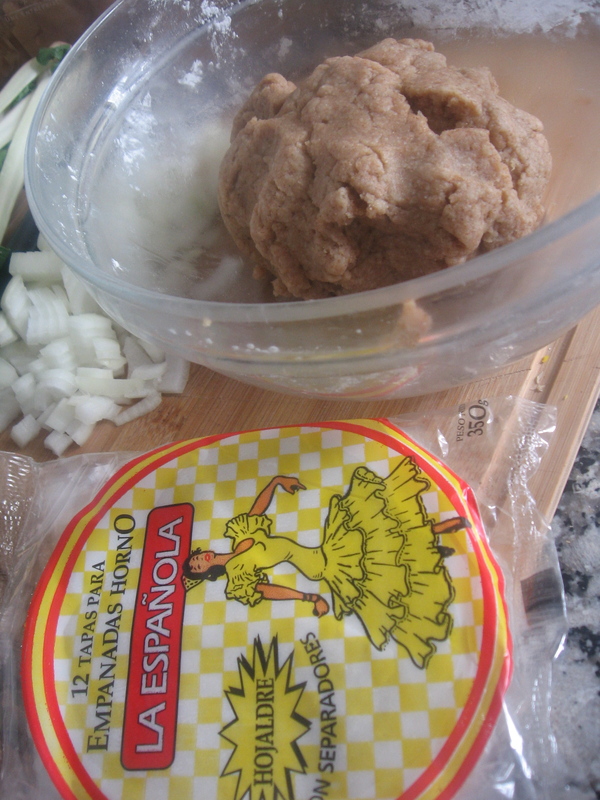 I believe the first time we cooked together was over a load of empanadas! It is fun to experiment…the apple ones were yummy! Sounds like all is well and you are getting lots of kudos-great, you deserve it.